For use with Sofia 2 and Sofia. The Sofia RSV Fluorescent Immunoassay (FIA) uses advanced immunofluorescence-based lateral-flow technology to detect respiratory syncytial virus (RSV) nucleoprotein antigen directly from nasopharyngeal swab and nasopharyngeal aspirate/wash specimens from symptomatic patients. 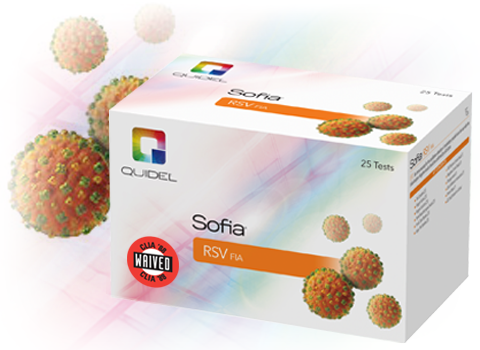 The high sensitivity of the Sofia RSV FIA offers confidence in rapid RSV testing.